In a world filled with technology and digital software, writing has become a dying art. For Faizal Somadi, the art of writing had always been his passion and he spends a lot of time and effort perfecting it. We spoke to him to get to the heart of the art of Khat (or Arabic calligraphy), which has more than a thousand years of history. 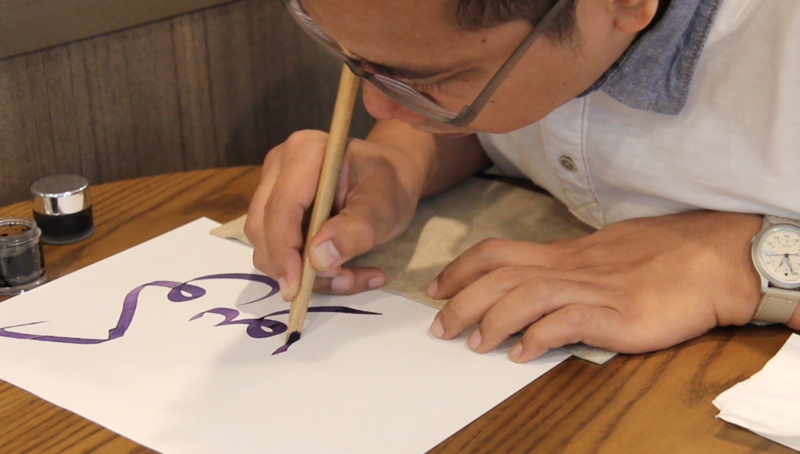 Faizal’s love for the art of beautiful writing began with Roman calligraphy at the age of ten. He practiced it for about 12 to 14 years before he moved on to Khat or Arabic calligraphy, which he has since been learning for 13 years. He first started to learn it in Singapore but it became increasingly difficult to find a teacher. He then expanded his horizons and looked for calligraphy teachers elsewhere. One of his current teachers is a Turkish gentleman and Faizal flies to Istanbul every once in a while to develop his calligraphy crafting skills. 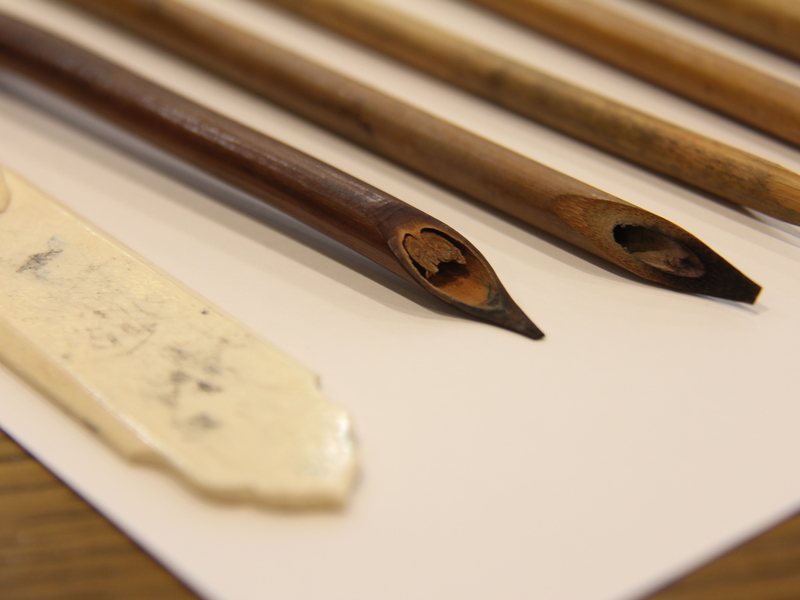 The interest of Arabic calligraphy in Singapore faded in the 1980s. This state of declination began when Roman scripts are recognized as official scripts for the Malay language under the Malaysian National Language Act of 1963. As such, the use of Jawi, the system of writing the Malay language in Arabic script, went into a silent declination. Did you know that Jawi was the official script in most parts of the Malay Archipelago, including Singapore, for more than 700 years? In fact, Jawi was the lingua franca of Southeast Asia and was even used by Sir Stamford Raffles in official state and governmental affairs. A copy of Undang-Undang Melaka (‘Laws of Malacca’). The Malacca system of justice as enshrined in the text was the legal source for other major regional sultanates like Johor, Perak, Brunei, Pattani and Aceh. From Wikipedia. There is a lot of confusion in the difference between the Arabic language and the Arabic script. One of them includes the debate of which came first. 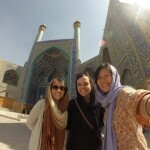 To Faizal, language and script are two different modes of communication. “When you talk to your children,” said Faizal,” And when you talk to your parents, the language is different. It cannot be written.” Often, what is spoken cannot be easily written down, and vice versa. The origins of the Arabic script can be dated back as early as the time of the Phoenicians. The use of the Phoenician script expanded into the Aramaic script, which reached the Nabataean people who then taught it to the people of Hijaz. Hijaz was the former name of what is now known as the Arabian Peninsula where Mecca and Medina are today. 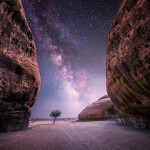 In the Arab world during the time of Prophet Muhammad, people could not read and write. Only a select few were literate. There were always a few scribes, especially the companions of the Prophet, who would record the revelations of the Prophet. 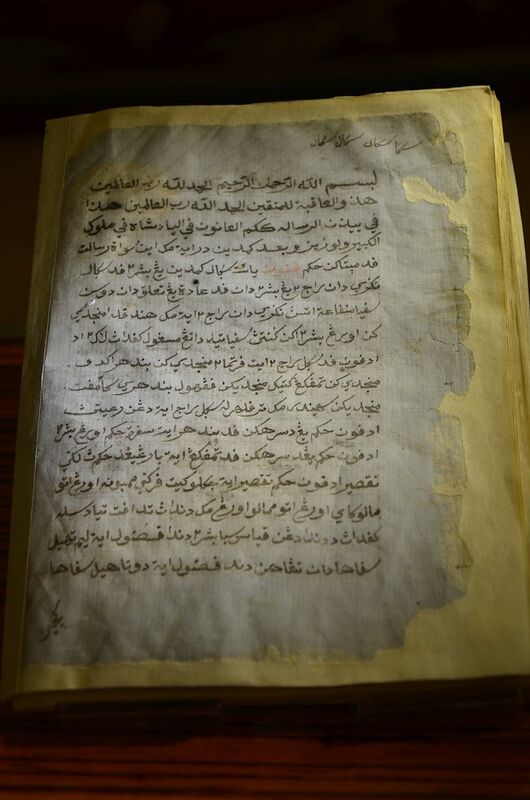 The accounts of these revelations were recorded in a script that is known now as the Hijazi script. A few years after the Prophet passed away, the centre of Islam moved from Medina to Baghdad in Iraq. 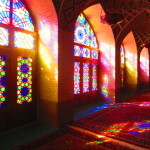 Baghdad was the first cultural and intellectual centre of the Muslim world. For 500 years, it even came to be known as the “Centre of Learning.” Another area in Iraq, called Kufa became the centre for the arts. 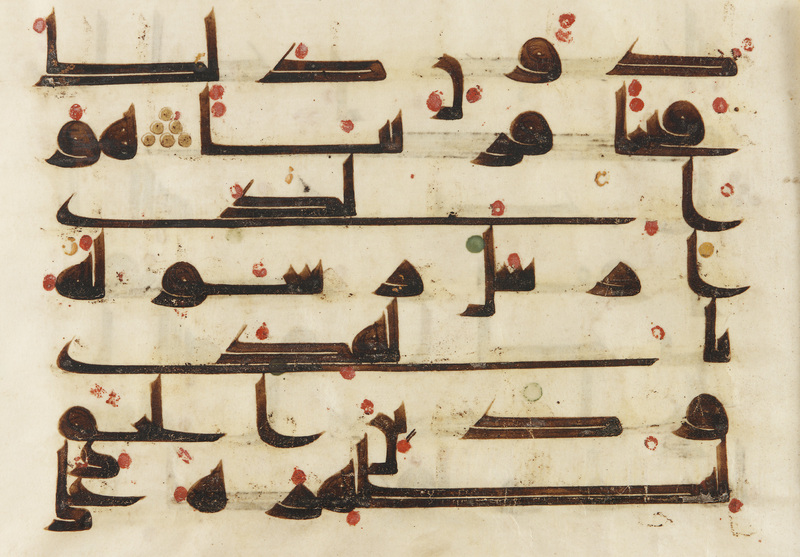 That was when they start to develop the Kufic script, the earliest systemised script of the Arabic language. Kufic script, 8th or 9th century. From Wikipedia. From Kufa, the script spread to the East and West, developing into the Maghribi and the Mashriqi script, reaching as far as Iran and Morocco. The Kufic script was developed between 600 to 700 CE. It helped in the first few hundred years of Islamic civilisation as the dominative script for the Quran. Over time, other scripts started to develop and subsequently recognised. Is Arabic calligraphy exclusively Islamic? 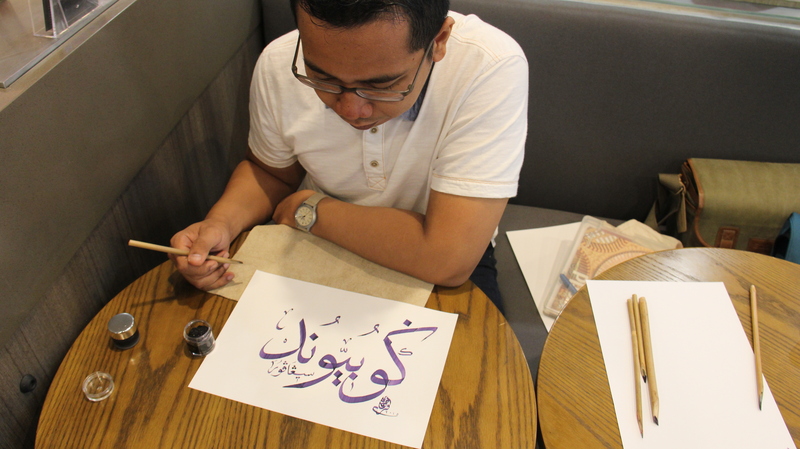 According to Faizal, historically Islamic calligraphy came first because if not for Islam, people would not learn how to read and write Arabic calligraphy. However, there are many examples in the Middle East in which Arabic calligraphy is used in bibles and in churches. 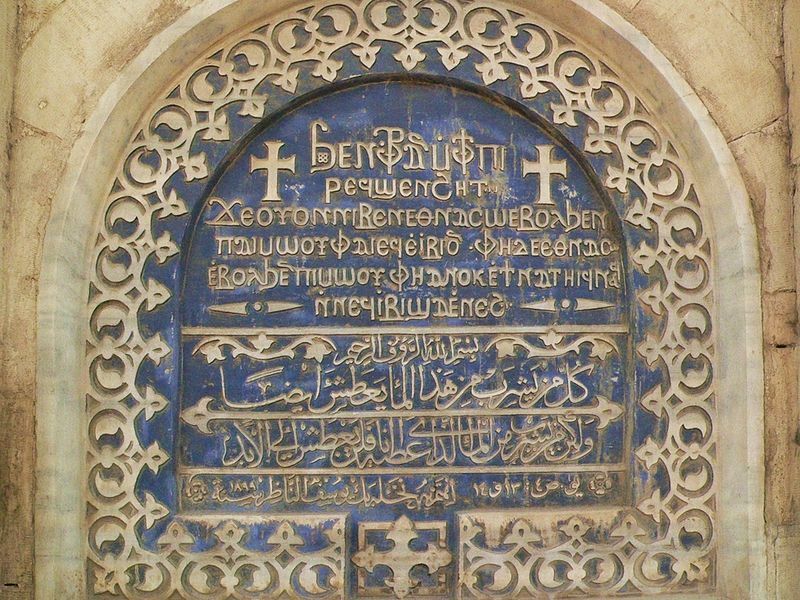 Coptic and Arabic inscriptions in an Old Cairo church. The verses are John 4:13 and 14, in Arabic. Source. Between Islamic calligraphy and Arabic calligraphy, Faizal tells us that there are a few differences. The key difference is that the former involves spiritual discipline. In learning it, one has to understand the material, the purpose of the material in delivering a message, and the characters that will be the ambassadors of the message. Faizal and the finished piece! Check out Faizal’s website and Instagram! And the 12 most respected classical arts in Turkey.